Co-authored with Jaqueline Terrel. Cross-posted from Bloomberg Tax. Last month, Chile’s government announced it was creating a committee to supervise lithium contracts the state has with U.S. based Albemarle, and local company, SQM; deals that are vital to the country maintaining its leading role in global lithium production. The declaration follows allegations about Albemarle charging below-market-prices for its lithium in sales to foreign affiliates. Between the Pacific Ocean and the snow-capped Andes, the Salar de Atacama is Chile’s largest salt flat, and the driest non-polar desert on earth; 130 feet below the surface of the lake, lays a brine which contains 27 percent of the world’s lithium, a silvery-white metal in the Earth’s crust. Lithium, or “white petroleum” as some call it, is used to produce batteries to power laptops, mobile phones, and iPods. Theturning point for the industry came in 2006 when Tesla announced plans for a battery-powered electric car with a range of 200 miles per charge. Since then, prices for the most common variety of lithium, lithium carbonate, have risen rapidly. According to metals and mining consultancy CRU, prices increased by 300 percent between 2015 and 2018 (see chart below). A report by Goldman Sachs in 2015 predicted that the size of the global lithium market could triple by 2025. The issue has become a hot topic in Chile. Using customs agency data, academics and the media have identified a difference of $1,800 on average between Albemarle and SQM’s sale prices for lithium carbonate in 2017. Data from the Chilean Copper Commission roughly supports this conclusion. It confirms that in 2017 the average price for total lithium exports (carbonate, oxide, and chloride) was $11,169, and $8,984 for SQM and Albermarle respectively (i.e. Albermarle’s price was lower by $2,185). According to Albemarle’s website, it has been producing battery grade lithium carbonate, the same as SQM, since 2017. “Battery grade” lithium carbonate has a minimum of 99.2–99.5 percent carbonate content and reduced impurities: whereas “technical grade”, commonly used in the production of glass and ceramics, is typically composed of 99 percent lithium. According to sources, while the grade may be the same, unlike SQM, Albemarle is reporting penalties (chloride) in their exports. Lithium chloride is the original solution that is pumped from the Salar, and then treated with sodium carbonate toproduce lithium carbonate. The fact that Albemarle does less refining than SQM, which processes its lithium before export from Chile, may explain the difference in chloride levels, and subsequent penalties. SQM processes its lithium before export from Chile. First, the brine is pumped into evaporation pools where the sun concentrates it into a yellow greasy solution. The solution is then transferred to the Salar del Carmen production facility plant where it is purified and treated with sodium carbonate to produce lithium carbonate. Finally, the lithium carbonate is filtered, dried, and packaged for shipment. Value is added to the final product, and “the tax on this value added remains in Chile," a source says in a translated statement. Not only does the additional processing enhance the value of the product, but it also increases the cost of production. According to the Metals Bulletin, it costs $1 per kilogram to transform lithium carbonate into battery grade [by reducing impurities]. Assuming the cost is built into the final sale price, this would explain $1,000 of the $1,800 price gap between Albemarle and SQM. According to trade data, the value of Chile’s lithium carbonate exported to the U.S. is $1,700 less on average than the lithium going to China. This suggests that the implied price of lithium carbonate sold to U.S.-based entities is well below the price received in lithium sales to China. The variance could be due to Chinese companies paying more for lithium in order to control the electric vehicle supply chain, plus the additional cost of shipping and transportation. There is also less cathode production in the U.S., which means lower battery grade lithium imports, and lower trade values. While trade data cannot always be relied upon, according to the media, in 2017, Albemarle charged its U.S. and German affiliates an average of $6,665 and $7,287 per tonne of lithium, and its Chinese customers US$10,776—a difference of 63 percent. There is a spot market for lithium (i.e. buying or selling a commodity for immediate settlement), but volumes are very small. Most of global lithium production is sold via offtake agreements (i.e. an agreement entered into between a producer and a buyer to buy/sell a certain amount of the future production). Benjamin Jones, Managing Consultant at CRU said “according to our intelligence reported Lithium spot prices have been more volatile and well in excess of contract prices – more than 100% higher during most of 2016, with premiums falling to around 50-80% in the subsequent period.” This could explain the price difference if Albemarle is selling mainly via contract rather than spot. In the past, there has been a lack of benchmark prices, making verification difficult for tax authorities. However, in 2017, the Metals Bulletin launched contract and spot reference prices for lithium carbonate. In future, the Internal Revenue Service of Chile (“SII”) could use the spot price on the date of signing as a reasonable guide to the average contract price, depending on offtake provisions, financing, and customer specifications. They could also demand that offtake agreements stipulate an annual price review to limit the risk of artificially low negotiated prices, as Galaxy Resources did in relation to its sales to customers in Asia. The London Metals Exchange also looks set to launch the world’s first lithium futures contract, which could be another useful data point for tax authorities. Corfo has requested that Albemarle sign an Advance Pricing Agreement (APA) with the SII. Albemarle’s Australian subsidiary also made a request to the Australian Tax Office (“ATO”) for an advance pricing agreement (“APA”) for 2015 and 2016. An APA is an agreement, usually for a fixed period, between a taxpayer and at least one revenue authority, specifying the chosen transfer pricing method that the taxpayer will apply to a particular controlled transaction; the revenue authorities commit to not making any adjustments during that period. The main advantage is that an APA locks in a method for determining the transfer price up front, reducing the need for complex transfer pricing analysis. Also, during the negotiation, the SII would get access to detailed pricing information from Albemarle that would help build its industry knowledge. The SII could also make a request to the ATO for information regarding Albemarle’s operations in Australia. In 2013, Chile and Australia signed a Double Taxation Agreement (“DTA”). Under the DTA, SII can request such information from the ATO that would be helpful in preventing tax avoidance—for example, information on Albemarle’s operations, pricing structures, and production costs, bearing in mind that the Greenbush mine produces hard-rock lithium rather than brines. 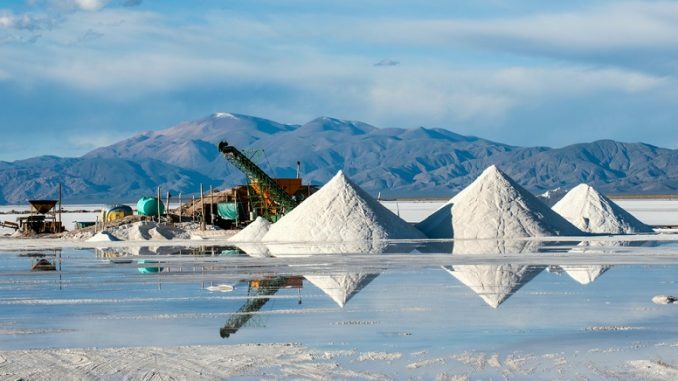 In the past year, Chile’s state-owned mining company, Codelco, has also entered the lithium space, providing a future source of industry information, as well as domestic comparables. Earlier this year, Tianqi, the Chinese company, paid $4.1 billion to become the second-largest shareholder in SQM. Along with the stake in SQM, Tianqi owns 51 percent of Australia’s Greenbushes mine in a joint venture with Albemarle. As a result, the company now has effective control over nearly half the current global production of lithium, as well as a monopoly in Chile. Corfo has complained that Tianqi’s control on lithium could “gravely distort market competition”. In terms of transfer pricing, the monopoly could further reduce the volume of independent transactions available to generate appropriate benchmarks, making it even harder than it is currently for tax authorities to verify related party sales. With Tesla turning to Chileto secure the lithium it needs to power mass production of electric cars, and SQM and Albemarle doubling capacity, it is critical that the government of Chile strengthen its monitoring of the industry to ensure the country gets a reasonable return from its valuable resources. A “withhold up” in Mongolia? Located in the Southern Gobi region of Mongolia, Oyu Tolgoi is one of the world’s largest copper and gold deposits. The Oyu Tolgoi mine (OT) is jointly owned by the government of Mongolia (34 percent) and Turquoise Hill Resources (66 percent). The latter is a Canadian subsidiary of Rio Tinto listed on the Toronto and New York Stock Exchanges. The OT project combines an open pit and an underground mine that produces copper concentrate, which is then transported by rail to China for processing. Since OT began in 2010, construction of the mine has cost USD 11 billion in capital expenditure. Phase 1 was the construction of the open pit mine (which was financed by shareholder debt from Rio Tinto) and Phase 2 is the construction of the underground mine, which is being funded by external project finance. From the outset, Rio Tinto has “carried” the government of Mongolia’s (GoM) 34 percent equity interest in OT, meaning it pays the GoM’s upfront financial contribution, which will be paid back via the GoM’s share of dividends. In a report issued by the Centre for Research on Multinational Corporations (SOMO) in February, Rio Tinto was accused of minimizing its tax obligations in Mongolia by 1) “illegitimately lowering” its withholding taxes (WHT) on interest paid on foreign loans by $232 million; and 2) financing its Mongolian subsidiary via loans routed through entities in the Netherlands and Luxembourg—which offer double taxation agreements with Mongolia, as well as lower tax rates. The report also alleges that in addition to the WHT issues in Mongolia, Rio skipped out on $559 million in corporate income tax in Canada (this issue won’t be considered here). Though an evaluation of the deal is beyond the scope of this piece, and would necessarily start from detailed modeling of all revenues throughout the life of the mine (such as what is done by OpenOil), there are important policy lessons to draw from this case and the revenues that have so far been collected. WHT requires the taxpayer to withhold some income tax on payments made abroad. For example, let’s say a taxpayer in Country A borrows $1,000 from a lender in Country B. The lender requires 10 percent interest on the loan ($100). The WHT rate in Country A is 5 percent, meaning the borrower must withhold $5 WHT on the $100 interest it pays to the lender. WHT is usually levied on service charges, shareholder dividends and interest expense on foreign loans. We focus on the last category. WHT on interest is important for three reasons. First, it can be a significant source of revenue for governments—particularly given the level of capital investment (and hence financing) required in the mining sector. Secondly, it is comparatively easy to collect, which is critical in countries with weak tax administration. Finally, and perhaps most importantly, WHT is a safeguard against tax base erosion and profit shifting (BEPS). Between 2011 and 2015, Rio took advantage of a lower rate of WHT in a double tax agreement (DTA) between the GoM and the Netherlands. Amongst other tax concessions, the treaty stipulated a WHT rate of 10 percent on interest, reduced from the 20 percent that is required by Mongolian law. The result was what SOMO estimates to be $173 million in forgone tax revenue so far (i.e., the difference between 20 percent and 10 percent WHT). Rio Tinto’s own taxes-paid reports show that despite its lowered rate, WHT on interest has been a major source of early revenues (providing, for example, more than a third of the $149 million in total taxes paid in 2016 to the GoM). OpenOil’s financial model estimates that a lower rate (a reduction from 20 percent to 10 percent on Rio’s share) of WHT on interest will cost the GoM $700 million in potential tax revenue over life-of-mine. While the lower rate of WHT on interest payments has had a material impact on GoM revenues, it does not seem that Rio Tinto specifically structured the deal in a way that would benefit from a lower WHT per the DTA with the Netherlands. In the period reviewed by SOMO, 100 percent of OT’s debt was funded by shareholder loans, which attracts a rate of 10 percent WHT under the Netherlands DTA. This rate is equal to the rate Mongolia has in tax treaties with a range of countries, including in Canada (see Table 1 below), so Rio did not need to “treaty shop” for this particular benefit. Furthermore, the rate is also consistent with global treaty practice (Art.11 of the OECD Model Convention) and the International Monetary Fund had pointed out the potential risk to revenue in 2008, a year before the GoM signed the investment agreement with Rio Tinto. Therefore, the GoM should have been aware of it. However, one aspect of the Netherlands DTA that is unique—and could give rise to claims of treaty shopping—is the lower rate of 0 percent WHT for interest paid on loans from financial institutions. The WHT distinction between financial institutions and other lenders creates a risk of “back-to-back loans”, whereby a third party (e.g., a foreign bank) is interposed between two related taxpayers (such as a foreign parent corporation and its subsidiary) to avoid the higher rate of WHT that would apply if a loan were made directly between the two taxpayers. As far as we know, Rio has not availed itself of this opportunity. The $4.4 billion project financing agreement for phase 2—which is funded by a mix of international financial institutions, export credit agencies and commercial banks—is directly with the OT Mongolian subsidiary, and consequently the Dutch treaty does not apply. Notwithstanding, the GoM should closely monitor any future bank loans originating from the Netherlands. Another grave concern (raised but not discussed in detail by SOMO) is that the Dutch treaty also lowered the WHT on dividends to zero, which is below the rates seen in Mongolia’s other treaties and in the OECD Model Convention. This may have an important impact on future revenues, though it needs to be assessed in light of the deal as a whole. Sources: Domestic rates, Canadian Treaty rates, Dutch Treaty rates and OECD convention rates. Recognizing the risk to revenue, the GoM annulled the Dutch treaty in 2014. However, the lower rate continued to apply because of the fiscal stabilization provisions in Rio’s Investment Agreement. Fiscal stabilization assurances are where a government commits to either partially or completely fixing the fiscal regime. This is to avoid a situation where governments offer favorable terms but reverse them as soon as investment is completed. Though it is best practice to limit the duration and scope of stabilization provisions, it is not uncommon to fix key tax terms for such large deals in the mining sector, especially in uncertain legal and political environments. The investment agreement is carefully drafted to include Mongolia’s double tax agreements in the stabilization mechanism. WHT on interest is relatively easy to collect, and therefore less likely to involve significant financial and human resources, or result in taxpayer disputes. This is particularly important given Rio’s complex corporate structure and funding arrangements for the mine have been a source of tension for many years. GoM issued Rio a $130 million tax claim in 2015, which was later reduced to $31 million after discussion at the Dispute Resolution Council of the Mongolian Tax Authority. Earlier this year, the GoM issued a $155 million tax claim against Rio - an extensive audit is expected to follow. Both cases demonstrate some of the difficulties in collecting various other taxes. Despite WHT on interest being an easy tax to levy, SOMO revealed a newer WHT concession, which, it alleges, further reduces GoM revenues by $59 million. The concession relates to Rio using an even lower rate of WHT on interest, 6.6%. The basis for the lower rate is Article 18(c) of the Amended and Restated Shareholder Agreement (ARSHA) (2011). The Article states that Erdenes OT (the state-owned company that manages GoM’s investment) is responsible for all taxes attributable to its 34% share, including for the repayment of interest on loans obtained from shareholders. Rio and Erdenes OT therefore owe 66% and 34% respectively of the WHT amount for total interest expense on shareholder debt. In practice this meant that Rio was effectively paying a WHT rate of 6.6% (i.e. 10% of 66%) on OT’s total interest expense on shareholder debt. The OT Netherlands 2015 company report (not in the public domain, obtained by SOMO) references a letter from the GoM, which confirms this assessment. While it seems reasonable that over the long-run Rio Tinto should not have to pay the taxes attributable to the Erdenes OT share of the debt, in the short term, an alternative would have been to pay the 10% WHT, add it to the GoM’s tab for later repayment via dividends, thus leading to higher tax receipts now. It is important to evaluate the WHT on interest concession against other characteristics of the deal, we don’t do this in detail here, but others have. For example, unlike many other mining countries, in Mongolia, the Value Added Tax (VAT) charged on mining inputs is actually a tax (i.e. non-refundable). Consequently, VAT is an important, and unique, early source of revenue for the GoM. On the other hand, Rio also got an investment tax credit, which means it can offset some of its capital expenditure against its income tax charges. The significance of the reduced WHT rates need to be seen (and modelled) in light of all these other terms, and also taking into account when the deal was done. Companies can finance a mining investment through debt or equity. Debt is treated differently to equity for tax purposes: interest payment on the debt can be deducted from taxable income, reducing a company’s overall tax bill. Consequently, companies have an incentive to increase their leverage (i.e., increase the proportion of debt in their sources of financing), in particular for subsidiaries in high-tax countries. WHT on interest is also a financial barrier to such practices - a ‘last line of defence’. SOMO is right to be suspicious of the reduced WHT on interest, and Rio’s financing of its Mongolian subsidiary via loans routed through entities in the Netherlands and Luxembourg (countries well known for channelling tax avoidance). Intercompany loans regularly create opportunities for multinational groups to shift profit from high-tax to low-tax jurisdictions via excessive interest deductions (see the recent Chevron case in Australia). However, the critical question is whether the rate paid by the Mongolian subsidiary differs significantly from the other participants. Luckily, the SOMO report sheds some light on previously unseen financial accounts from the Dutch subsidiary, which we can tentatively analyze. A back of the envelope calculation, suggests that the Rio subsidiaries in Luxembourg, the Netherlands, and Mongolia are all using interest rates of approximately LIBOR +5.5%-5.6%. Had there been large differences between the different subsidiaries this may have been a smoking gun for profit shifting, but the little information we have does not indicate that Rio was stripping profit out of the mine via interest expense. In any event, if the GoM wants to find out if the interest rate the Mongolian subsidiary is paying is reasonable it has two benchmarks – 1) the project finance at LIBOR +6% (bearing in mind this rate is likely to have been ‘grossed up’ somewhat to account for the WHT payable by the international banking syndicate), and 2) the 2015 financing and guarantees obtained from the International Finance Corporation. While Rio’s complex financing structure may not be the culprit, there is another profit shifting risk the SOMO report does not address. That is, the management service payments (MSPs), which are 3% of the total capital and operating cost of the mine up pre-production, and 6% thereafter. Management services are where a subsidiary pays a fee to a related party in return for a range of administrative, technical and advisory services. In this case, OT pays Rio Tinto a fee, via its subsidiary in the Netherlands, for providing mining expertise and technical services, procurement and logistics, risk and compliance, commercial services and human resources services. The ‘mischief’ is the way the fee is calculated based on the total capital and operating cost of the mine, rather than the actual cost of providing the service, plus a small mark-up, as recommended by the OECD Base Erosion and Profit Shifting (BEPS) project Action Items 8-10. The argument against using “cost-plus” is the time and effort it would take Rio to accurately allocate costs, and the Mongolian Tax Authority to verify. That may be so, but arguably a more prudent route would have been for Rio to request an advanced tax ruling to agree on the cost allocation method, and mark-up. Rio has shown willingness to enter similar agreements in Australia, Canada, and Singapore, albeit via Advance Pricing Agreements, which are legally binding. OpenOil estimates that MSPs add up to $2.9bn in real terms in Rio’s 2014 Technical Report. The planned $5.3 billion expansion of OT will swell MSPs even further, significantly reducing the Mongolian subsidiary’s taxable income, and further deferring the GoM’s dividends. Ideally, Rio and the GoM would agree an alternative way to calculate MSPs that better reflects the cost of the service, and set a limit on MSPs relative to total costs. SOMO uncovered important new information from company fillings of the OT project. The lack of clarity on applicable WHT rates is a cause for concern; therefore, it would be beneficial if GoM and OT produced a joint communique on which WHT rates apply for the shareholder loan, the project finance loan, and future dividends. However, it would be an exaggeration to conclude that Rio avoided WHT on interest on shareholder loans, and there is no clear evidence of excessive interest deductions to support the claims of treaty abuse. Nevertheless, moving forward, the 0% rate of WHT in the stabilized Dutch treaty on bank loan interests and dividends, more favourable than other DTAs, may be an issue. The revealed costs in early and easily collectable WHT revenues provide an important lesson on the dangers of (stabilized) tax treaties. But, it is critical that any tax concession and dispute are viewed in context against the deal as-a-whole, looking at both the costs and the benefits that flow from the mine. Cross-posted from the Center for Global Development. Co-authored with Maya Forstater. Is Indonesia’s move to “gross-split” the future of oil and gas production sharing arrangements? Over the last decade, the Government of Indonesia has become increasingly concerned that petroleum companies operating the country’s oil and gas fields have been inflating costs through overspending. In 2016, a report by the Supreme Audit Agency (BPK), revealed that several petroleum companies (“contractors”) had inflated the reimbursement of their operating claims by US$300 million. Production sharing contracts (PSCs) are common in the petroleum sector. Roughly two-thirds of petroleum producing countries have this as the core component of their fiscal regime. Under a PSC, the contractor is entitled to take a share of total production to cover its exploration and development costs (“cost oil”), and what’s left is then split between the contractor and the government (“profit oil”) according to some formula set out in the PSC. This mechanism for apportioning production is called “cost recovery.” While countries may vary the ratio of cost oil to profit oil, cost recovery has, until now, been the defining feature of the PSC. In January this year, the Government of Indonesia abandoned the cost recovery approach. In its place the Government will apply a “gross-split” method, apportioning production solely based on a percentage, leaving all capital and operating costs to be borne by the contractor. This specific policy is virtually unknown in the world of upstream oil and gas contracts (Peru used it briefly in the 1970s). However, it is not too different from a royalty/ tax regime, whereby the contractor pays a combination of (1) a royalty based on the volume, or value of oil extracted, (2) income tax, and (3) a resource rent tax to capture a larger share of profits of the most profitable projects. Under gross-split, the contractor is effectively ‘paying’ a royalty by handing over a share of production to government before recovering its costs. This is attractive because government can collect revenue as soon as production commences. However, there is still a risk that contractors will inflate cost claims applied to income tax computations. The Government of Indonesia argues that under cost recovery, contractors are incentivised to inflate costs to increase their share of production, the result being that Government’s share is reduced. By moving to a gross-split, contractors are forced to shoulder the costs themselves, which Government expects will encourage them to operate more efficiently, and protect the State budget. Under cost recovery, all expenses had to be pre-approved by the oil and gas regulator, SKK Migas, which led to significant delays for contractors. By giving contractors more freedom with respect to procurement and technology, the Government hopes to create a more attractive environment for investment. Indonesia’s move away from cost recovery has been a long time coming. It is an issue that has become increasingly politicized, with the public regarding it as unfair that contractors’ costs reduce the Government’s share of production by hundreds of billions of dollars every year. It’s not hard to see why, when in 2016, the cost of cost recovery reached $13.9 billion, which was more than the sector raised in non-tax revenues. There are also administrative challenges involved in applying cost recovery. According to the Deputy Energy Minister, Arcandra Tahar “the problem with cost recovery is, there have been endless debates between SKK Migas and contractors as to how much exactly the production costs should be. It’s not easy to calculate technology costs, especially in cases where only one company has a particular technology.” SKK Migas has 750 staff; roughly 80% are involved in administering cost recovery. Gross-split will increase the Government’s take from the sector, and ease administration. However, it may also deter investment, and prevent Government from capturing the upside if oil prices end up rising. Under the proposed gross-split of 57:43 (in favour of Government), contractors’ Internal Rate of Return (IRR) will be reduced by approximately 6% on average across all exploration prospects (i.e. onshore and offshore). The big test will be the bid round currently underway. WoodMackenzie, and company executives, are doubtful there will be much interest under the gross-split model. If they are right, Government may be forced to recalibrate the split to something that more closely resembles contractors current IRR. Given the political significance of the issue, we’re unlikely to see Government do a U-turn on gross-split. Indonesia is not the only petroleum producing country to struggle with cost recovery risks. Tanzania’s former upstream regulator, the Tanzania Petroleum Development Corporation (TPDC), has expressed concern about companies inflating drilling rig rental fees. According to them, Tanzania’s status as a frontier basin makes it easy for companies to record the maximum rental price, and the TPDC lacks the appropriate benchmarks to challenge these cost claims. The challenge of auditing cost claims does not disappear with the gross-split model, but at least it is contained to calculating income tax, rather than being allowed to erode government’s share of production as well. There is merit to supporting resource-rich countries to strengthen cost recovery audits. But with finite audit resources, and limited benchmarks to evaluate cost claims, Indonesia’s response to move away from cost recovery as a basis for production sharing may prove a more pragmatic approach. Petroleum producing countries will be watching closely over the next few months to see if Indonesia can get the balance right between maximising economic benefit from oil and gas, whilst continuing to encourage investment. If the Indonesians can achieve this, gross-split may well be the future of production sharing in oil and gas. Co-authored by Thomas Lassourd. Cross-posted from NRGI. In Sierra Leone, the tax authority’s total budget allocation for 2015-16 was USD 13 million, about 0.5 percent of Australia’s. It has six staff responsible for auditing extractive industry taxpayers in a country where, pre-Ebola pandemic, roughly 20 percent of gross domestic product was a result of mining. None of the staff are transfer pricing specialists, and Sierra Leone’s tax court was only set up in 2015. Faced with such limitations, what lessons can Sierra Leone learn from countries like South Africa, Zambia, and Tanzania, which are finding context-relevant and innovative ways to limit the ability of foreign multinationals to avoid paying taxes? NRGI’s regional report on preventing tax base erosion showed that many mineral-rich countries in Africa face similar challenges in applying “global standards” led by the Organisation for Economic Co-operation and Development to stop multinationals from using cross-border transactions to avoid tax. In particular, tax authorities struggle to apply the arm’s length principle, which compares the price of a transaction between related parties with the price of similar transactions carried out between independent parties. This is because accessing appropriate comparable data is so challenging. NRGI is publishing case studies on South Africa, Tanzania and Zambia that describe alternative legal and institutional mechanisms that these countries have put in place to control the price of mineral exports, operational and capital expenditures, and the cost of debt. South Africa is one of the first countries in the world to introduce a law to limit the deduction of interest payments to foreign-related parties. Deductions that exceed 40 percent of turnover are disallowed. This hard cut-off means the South African Revenue Service can protect the tax base without getting into the nitty-gritty of pricing loans. (As this recent Chevron case in Australia shows, pricing loans is extremely difficult.) Action 4 of the OECD Base Erosion and Profit Shifting (BEPS) project has adopted a similar approach, while recommending a higher cap between 10 percent and 30 percent of turnover. In Zambia, taxes from the mining sector have disappointed the public, particularly as copper prices hit historic highs. Civil society organizations believed that mining companies were selling their copper to foreign related parties under market rate to pay less tax in Zambia and accumulate profits offshore. In response, Zambia adopted an additional transfer pricing method that requires mining taxpayers to use publicly quoted benchmark prices—for example, from the London Metals Exchange—to calculate all mineral sales to related buyers. The rule makes it harder for companies to distort their mineral sale price to avoid tax. “It removes a free kick for companies,” says one Zambian tax official. The government of Tanzania has recognized that tax officials alone cannot detect and mitigate tax avoidance by mining multinationals. They need support from mining industry experts. 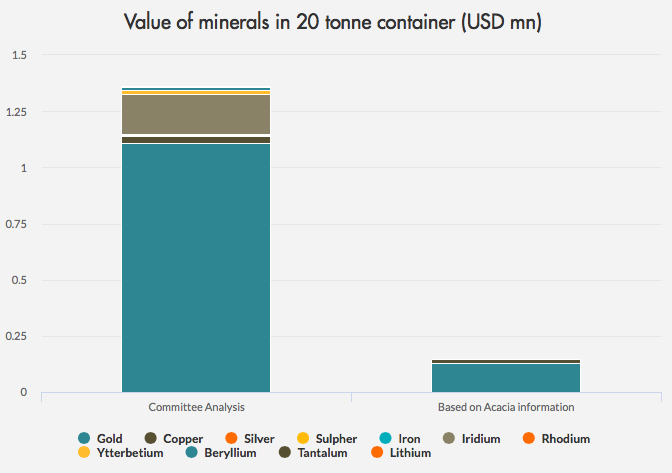 The Tanzania Mineral Audit Agency (TMAA), set up in 2009, is responsible for monitoring the quality and quantity of mineral exports and the financial performance of mining companies. TMAA’s efforts have helped the tax authority collect USD 64.8 million in additional corporate tax, accounting for roughly 7 percent of mining tax receipts between 2009 and 2015 and twice the TMAA’s budget over that period. South Africa, Zambia, and Tanzania have decided that they do not have the resources to audit all of the transfer pricing practices of multinational companies. They have therefore tried to avoid getting into unwinnable battles by introducing clear, objectively verifiable and easy to administer tax rules, as well as strong government institutions to oversee the mining sector. Other mineral-rich countries should take note.